Sam Mitchell is a stand-up guy and the sort of Man who anyone should be proud to have as a friend. get shellacked on the boards, 35-51, and your team doesn’t deserve to win an NBA game, against a quality opponent. Until “Mitchell–angelo” addresses this perpetual deficiency … the Raptors will forever be a ‘Fool’s Gold’ team … compared to Boston, LA Lakers, Detroit, San Antonio, etc. 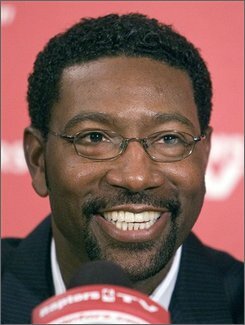 You are currently browsing the archives for the Sam Mitchell category.